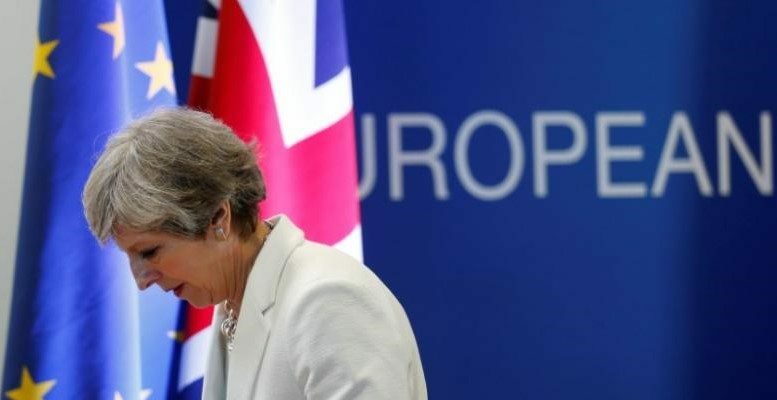 On January 15, the Tory government faced the biggest defeat in British political history, when Prime Minister Theresa May’s withdrawal agreement from the European Union was categorically dismissed by more than 230 MPs. Many have suggested that May is demonstrating a high level of determination that should be admired. While I have some sympathy for this sentiment, the real issue is that May has been the chief architect of her own demise. The prime minister would not shift beyond her own entrenched red lines, largely to appease the hard Brexiteers on the backbenches of her own party. She did not want to work with opposition parties and is only now partially opening the door. She created the hostile environment as home secretary, which led to the Windrush calamity, 20,000 police officers now missing from the streets, and the anti-immigration sentiment that was a powerful force in driving people to vote for Brexit in 2016 remains a potent litmus test of intolerance today. She will be safe as prime minister this evening after a no-confidence vote tabled by the opposition leader, Jeremy Corbyn, but her own party is deeply divided. It is May’s persistence to keep to her false mantra of respecting the “will of the people” — based on a hugely problematic referendum, which included issues of dark money as well as dodgy interests driving it all — that has made Britain the laughing stock of the world. While some of these discussions on the nature of the relationship between the UK and the EU are important in themselves, they do not reveal the extent of the structural and cultural dilemmas facing the country. Brexit is a symptom of the problems, not the starting point. The austerity program that was initiated in light of the events of the 2008 global financial crisis hit Britain far more severely than other countries within the EU. As has been reported by the UN special rapporteur, this austerity policy was ideological in nature and not based on sound economic thinking. The poor, marginalized and unemployed felt the brunt of these policies. The groups left behind were a significant demographic in the Brexit vote, largely concentrated in the Midlands and in North England. The other voting bloc was the richer and far more affluent groups found in the south who felt their wealth status could be compromised by immigration. Immigration, therefore, became the tipping point for so many voters who, at the behest of political elites, were able to instrumentalize the negative sentiment they all felt. This was created by those very elites seeking to leave the EU in order to take advantage of the looser legislation they hoped it would bring. These underlying structural and cultural problems are not going to change by leaving the European Union. In fact, they are likely to deepen due to the significant impact of leaving the most successful trading bloc in the world. The search for ever greater profits on the part of the established elite and the fear of “the other” stoked by sections of the media have led to rising intolerance, bigotry and issues of hate crime, anti-Muslim sentiment and distrust in the political process. Brexit will not fix these problem; it will exacerbate them. Unless article 50 is revoked, Britain is leaving the EU without a deal on March 29. A new withdrawal agreement is unlikely to be pieced together in time due to the fractious nature of this entire debate. For me, it all starts with not accepting the 2016 referendum result because it was based on false promises at the very least and lies at the very worst. And this entire facade is all about the hard euroskeptics within the Conservative Party government who saw Brexit as an opportunity to get what they had wanted for 40 years. Ultimately, Brexit has been pure folly. And the ill-informed electorate in Britain was forced into a corner by political elites who had no interest in questions of genuine issues of EU policy or domestic concerns about poverty, equality or diversity in an age of rampant, unfettered and unchecked free-market economics. Having said all of this, I am miffed as to what can work now. Is there any solution that works for all? It’s possible that article 50 will be extended to July and the softest of Brexits will be negotiated, which will allow a general election in 2022 and the winning party, which may well be Labour, to seek to re-enter the EU in some meaningful way. For now, a second referendum is unlikely, as is the no deal option. In many ways, last night was only the end of the beginning. To paraphrase the words of another (in)famous Tory prime minister, this will go on and on.